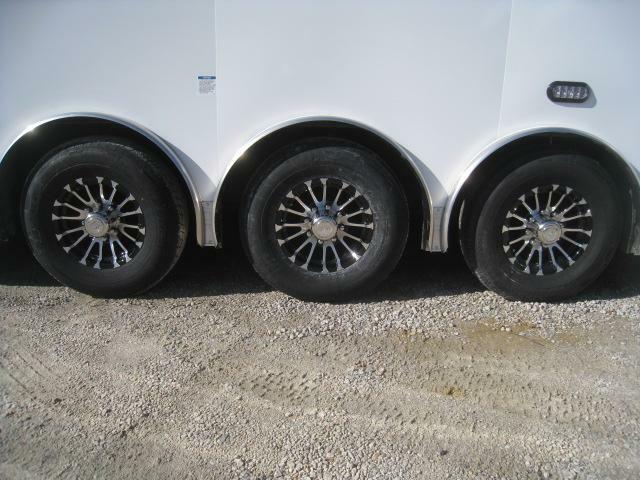 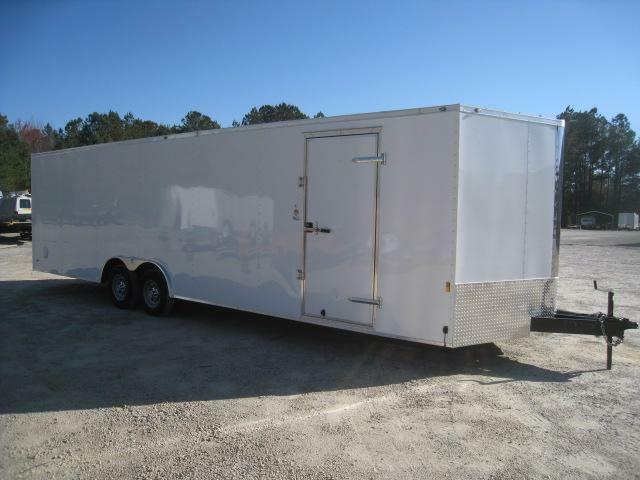 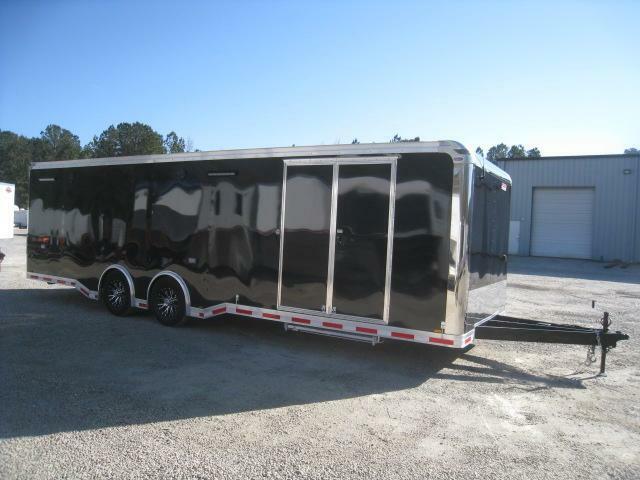 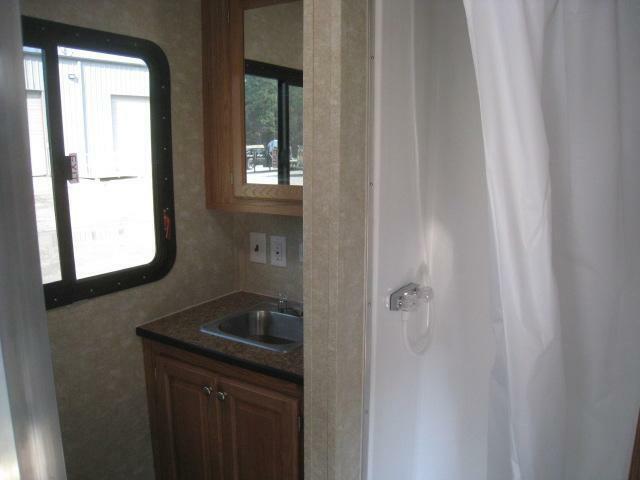 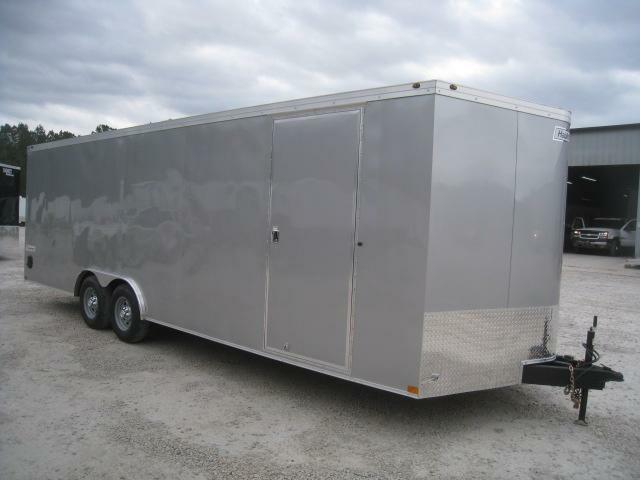 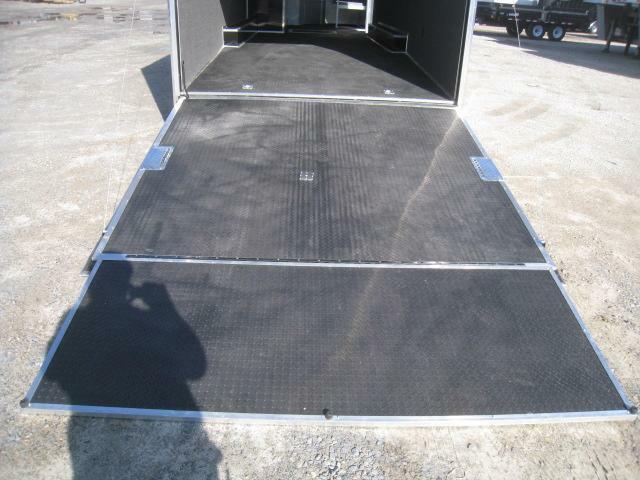 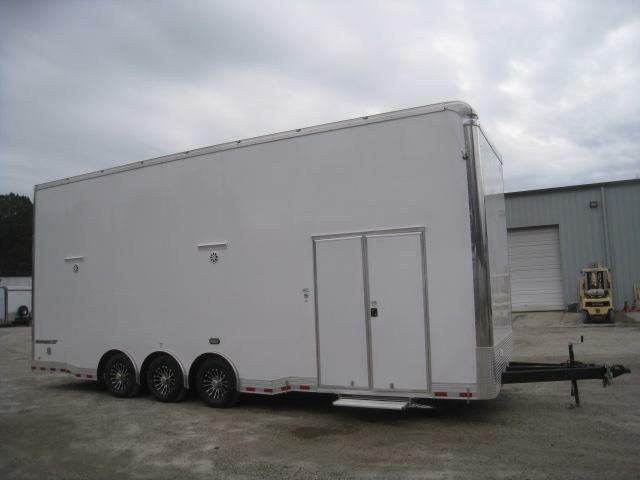 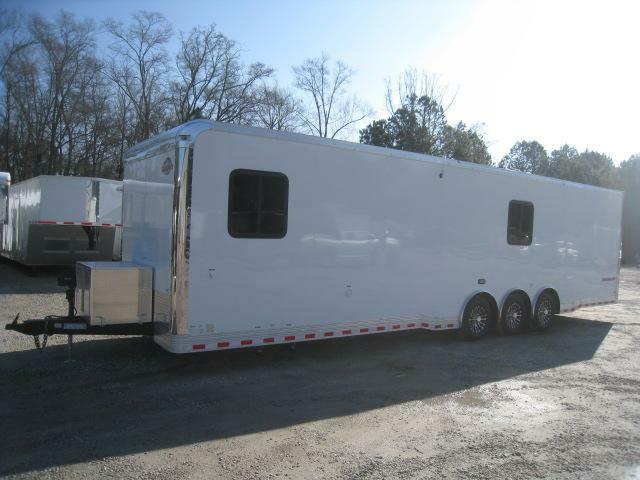 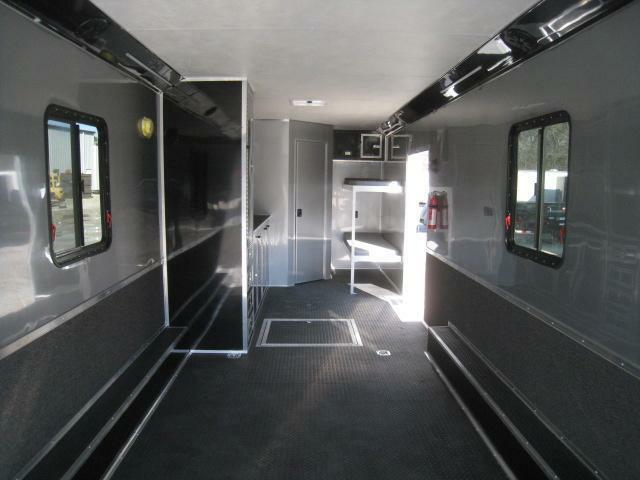 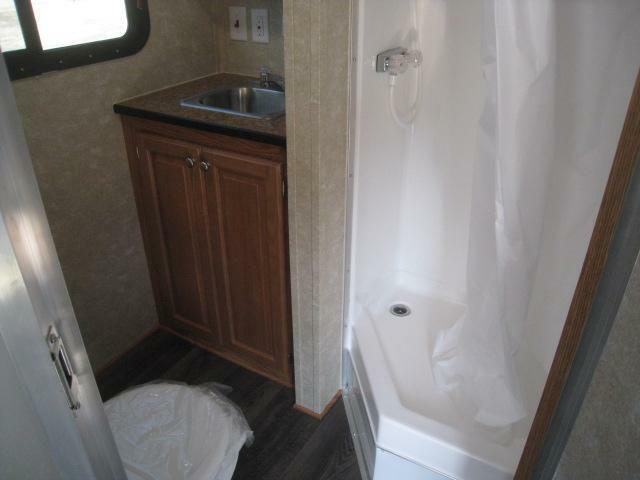 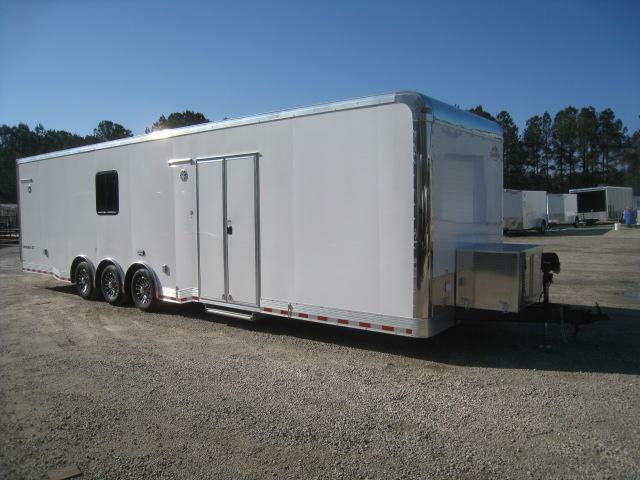 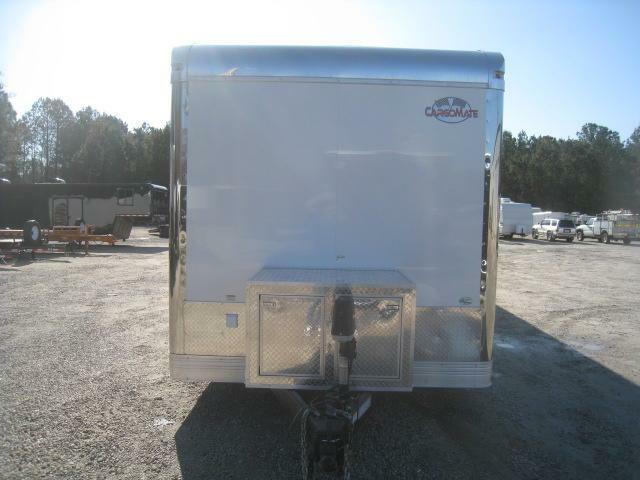 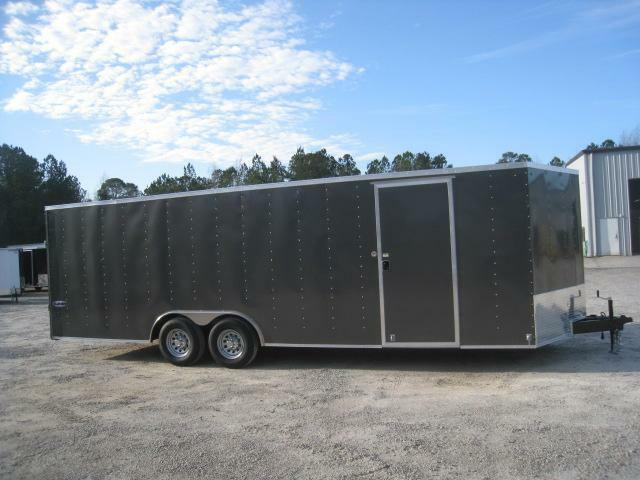 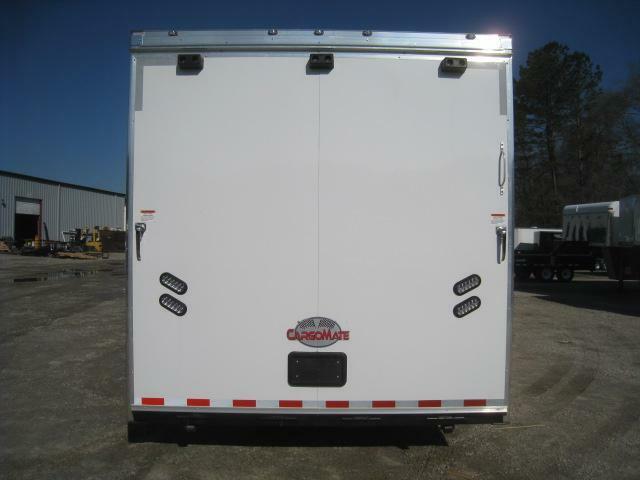 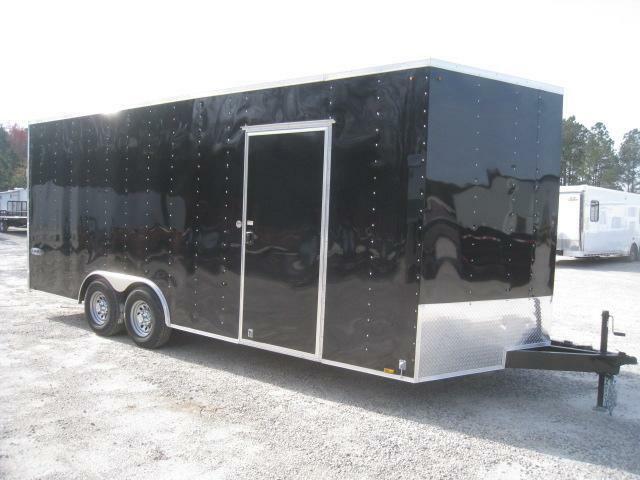 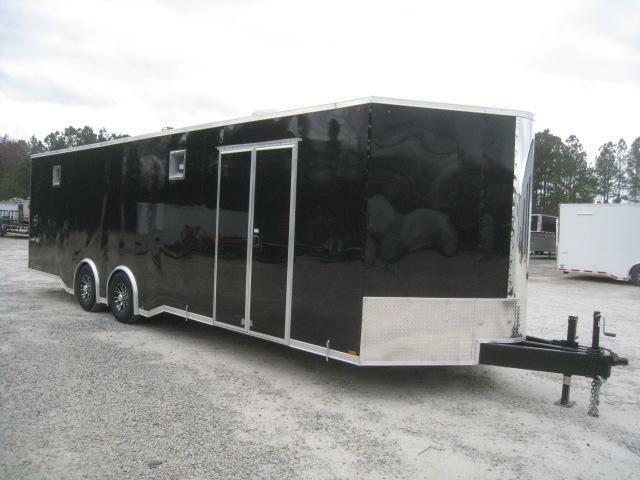 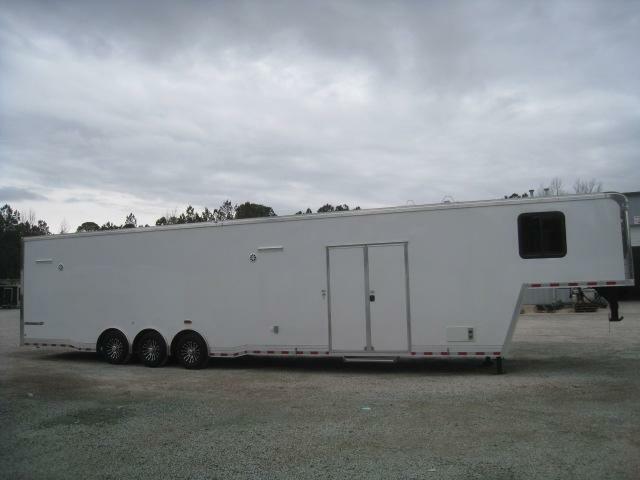 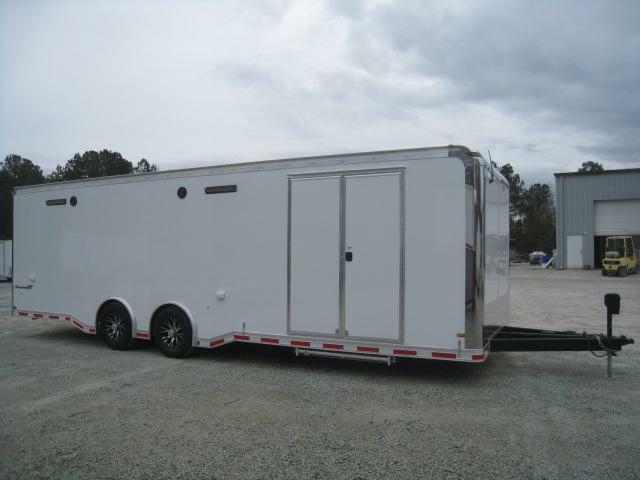 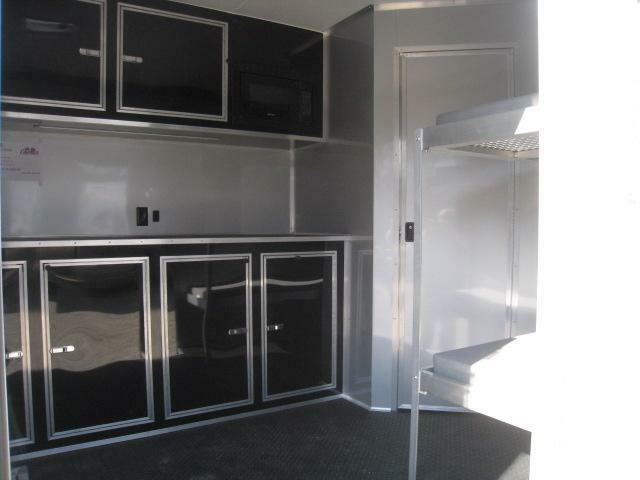 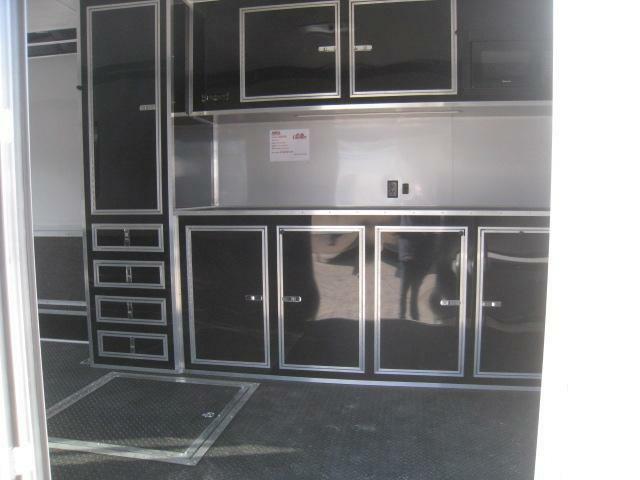 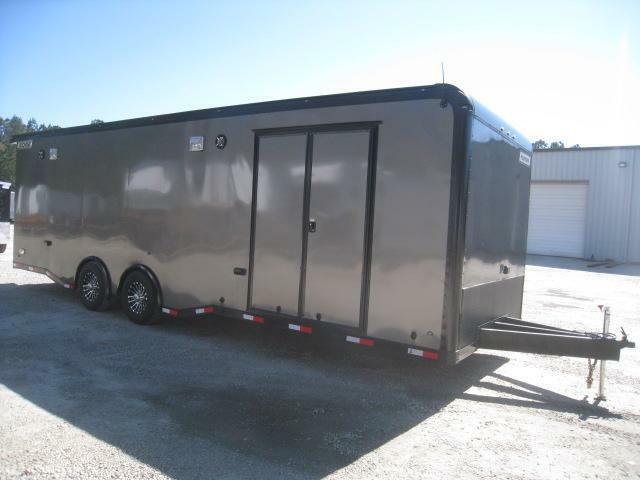 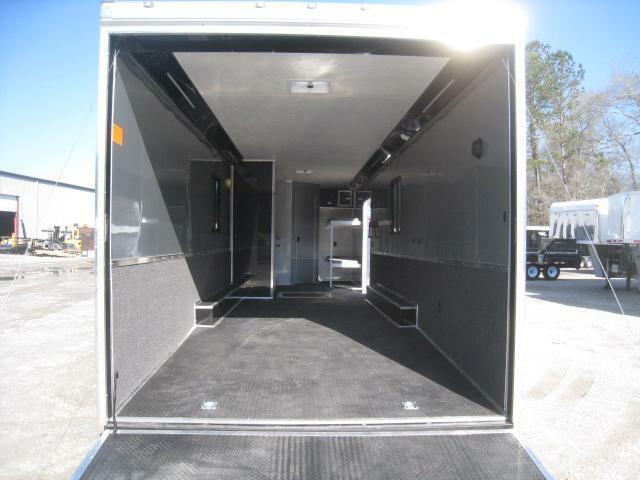 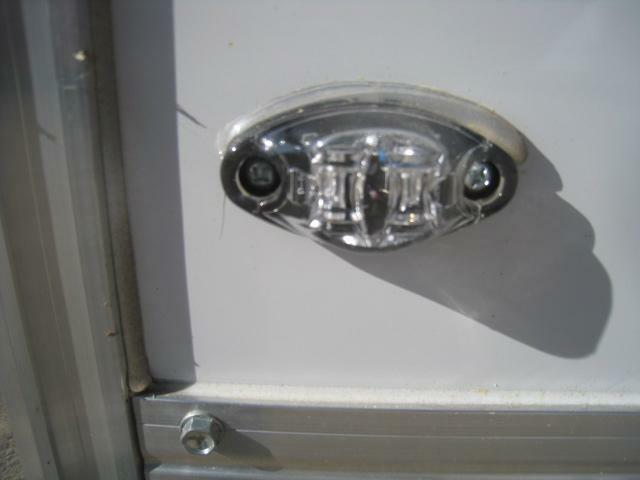 THIS 34â€² RACE TRAILER HAS A LARGE FULL BATH PACKAGE WITH 80 GALLONS OF FRESHWATER CAPACITY. 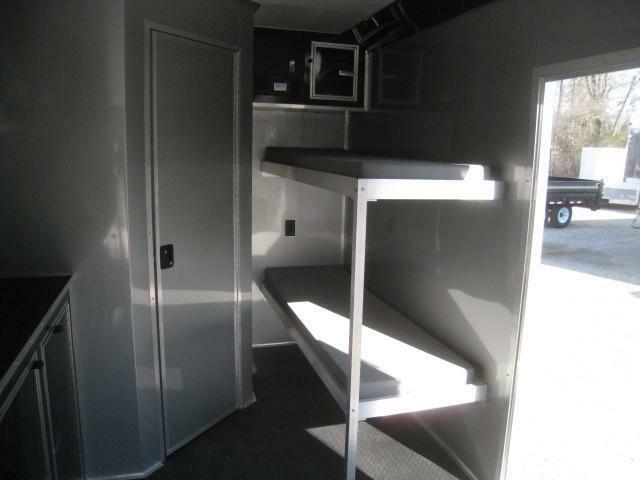 IT HAS AN ALUMINUM DOUBLE BUNK BED IN THE FRONT CURBSIDE CORNER. 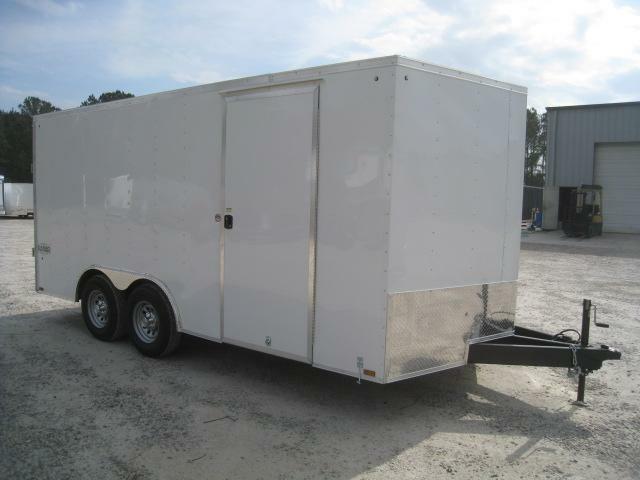 WE ARE ADVERTISING THIS UNIT AS IT HAS COME FROM THE FACTORY. 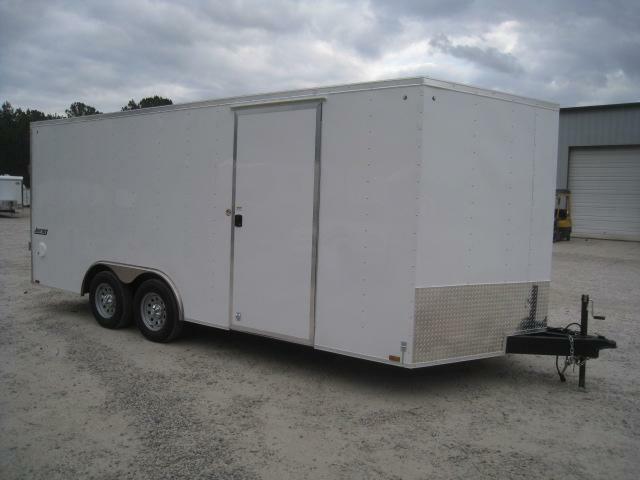 HOWEVER, WE CAN ADD ANY OPTIONS HERE SUCH GENERATOR, WINCH,AWNING ETC.